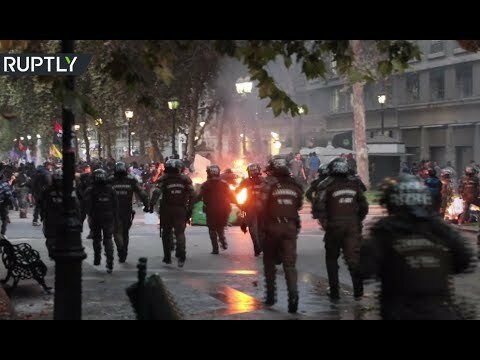 Tear gas & water cannons: Protests against Bolsonaro visit to Chile end in chaos | We Seek the Truth! Protests against the visit of Brazilian President Jair Bolsonaro ended in clashes between demonstrators and police on the streets of Santiago. Riot police, tear gas and water cannons were deployed in an effort to disperse the crowd. Demonstrators fought back using projectiles and by erecting barricades. Several arrests were made.